Hop in the car and buckle up, we're going on a road trip! 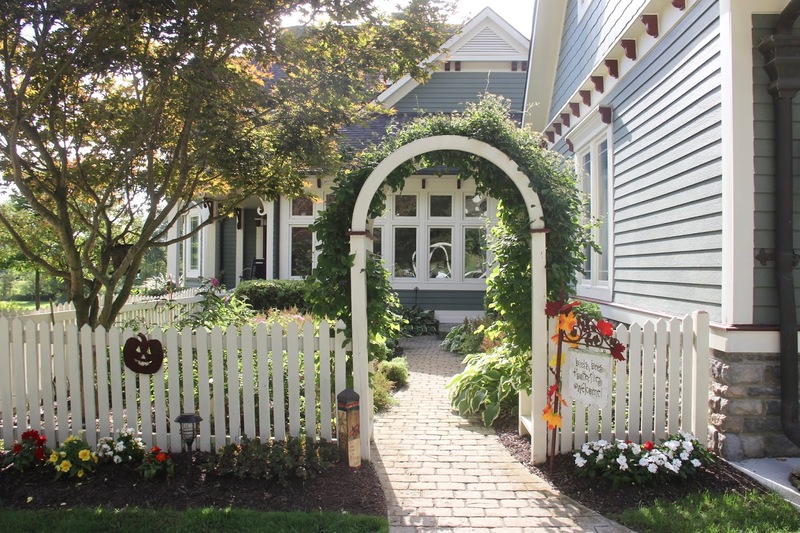 It is a beautiful, Fall day here in Michigan, perfect for taking the back roads to the small town of Pinckney. We're visiting one of my Online Design Clients who graciously invited us over for a tour of her fabulous countryside home. 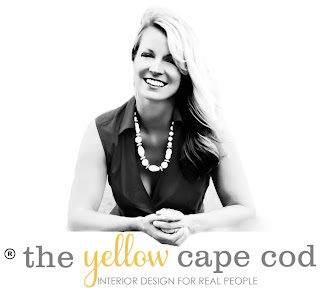 I had the opportunity to help Pat update her Family Room, Foyer and Dining Space through my Online Design Service. We are also beginning a new project in her Sunroom which details will come soon. 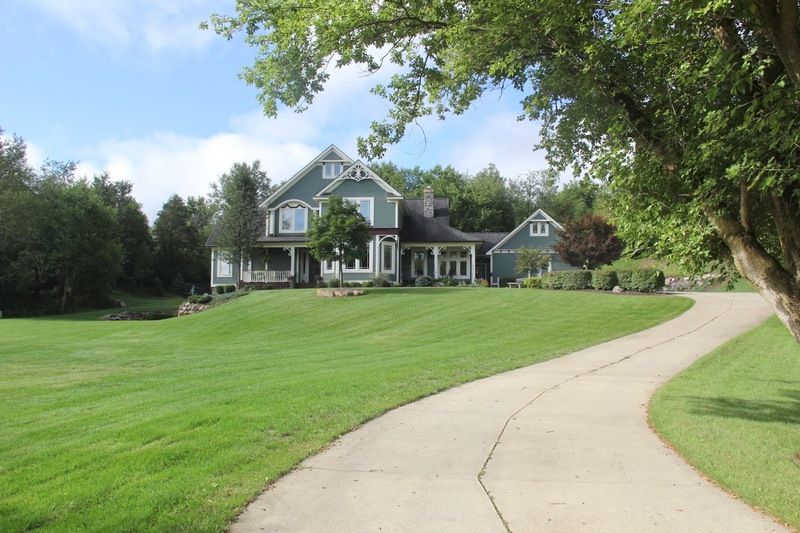 Although this home looks like an original Victorian Farmhouse, it's fairly new construction. 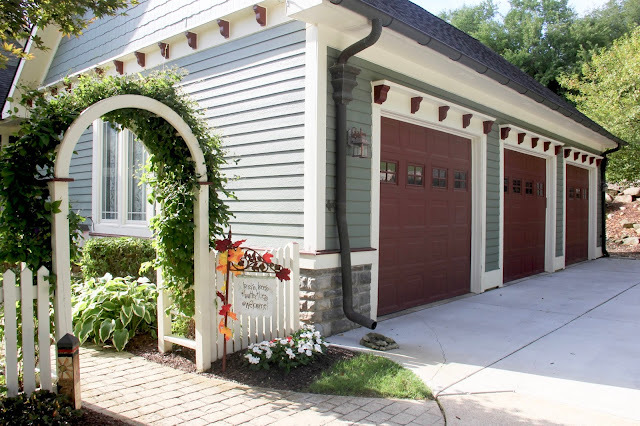 Pat and her husband, Jim, built this home for their family in back in 2001. Jim was the Builder, along with the couples sons; Bryan, Erik and Keith (Walter Construction Inc.). 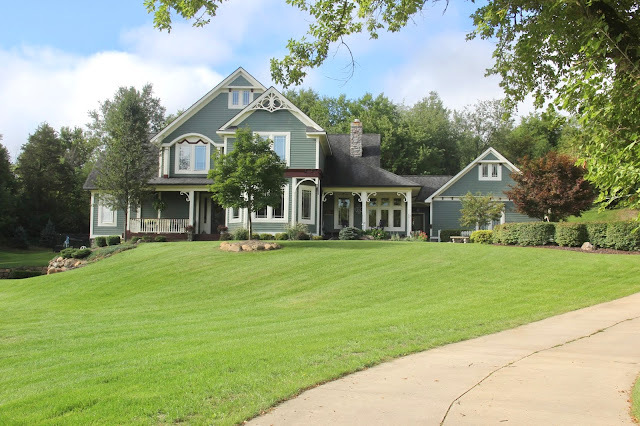 Their original vision when they purchased the rolling five acre parcel that adjoins to their son's property, was to build a warm, welcoming home where their large family could gather. Pat said they wanted a place where you didn't feel like you had to take off your shoes when entering, and where everyone felt welcome just as they are. I can certainly attest that they achieved this goal. As soon as I approached the home Pat came out to greet me with a warm smile and open arms. As if her home's lovely exterior wasn't welcoming enough, her gracious personality clued me in on what I was about to see inside the house. 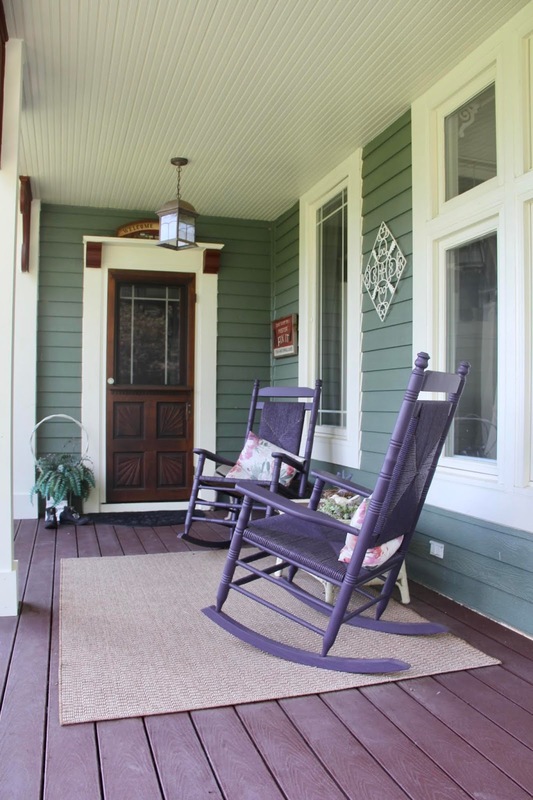 Before we head inside, take a look at her side porches. 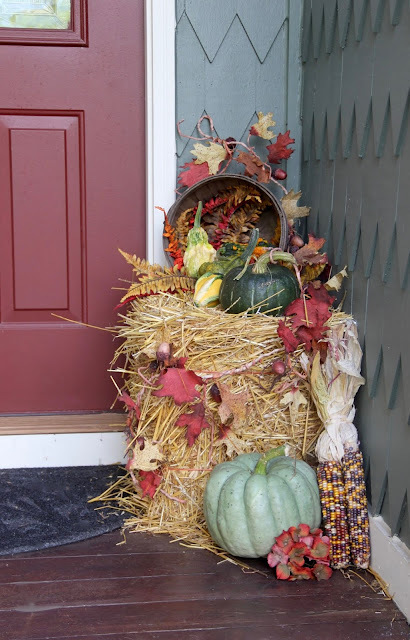 They were just starting to decorate for fall when I arrived. The colors of her homes exterior look so pretty with fall decor. 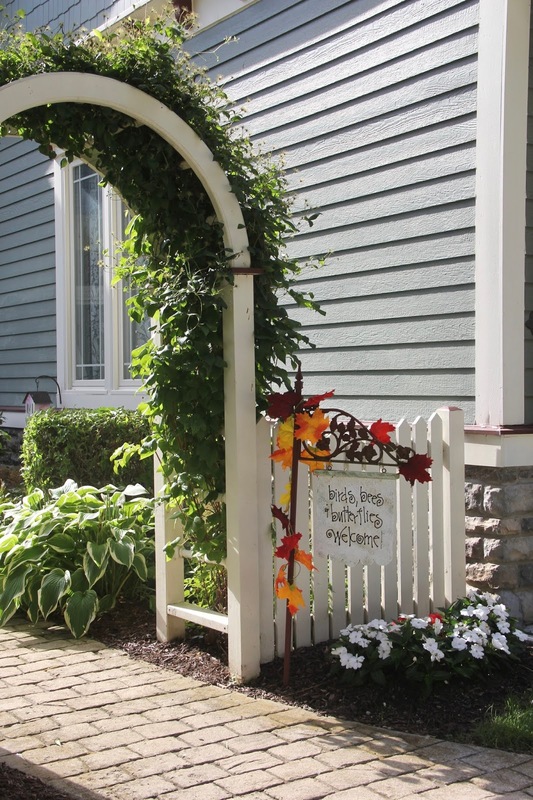 The amazing arbor and brick paver path draw you into the lovely courtyard which leads you to her two side porches. Alongside the two side porches, is Pat's favorite spot in the home, her sunroom. She loves this room due to its placement next to the courtyard and the view of her property. She feel blessed with the rolling acreage that their house sits on and loves to soak up the changing views through the different seasons. The sunroom is one of the spaces we are currently working on through my E-Design Service, photos on that room to come later once it's ready. 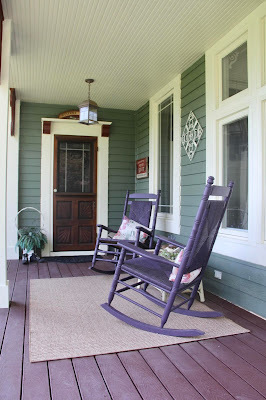 Pat chose a fun eggplant paint color to refinish a pair of porch rocking chairs. 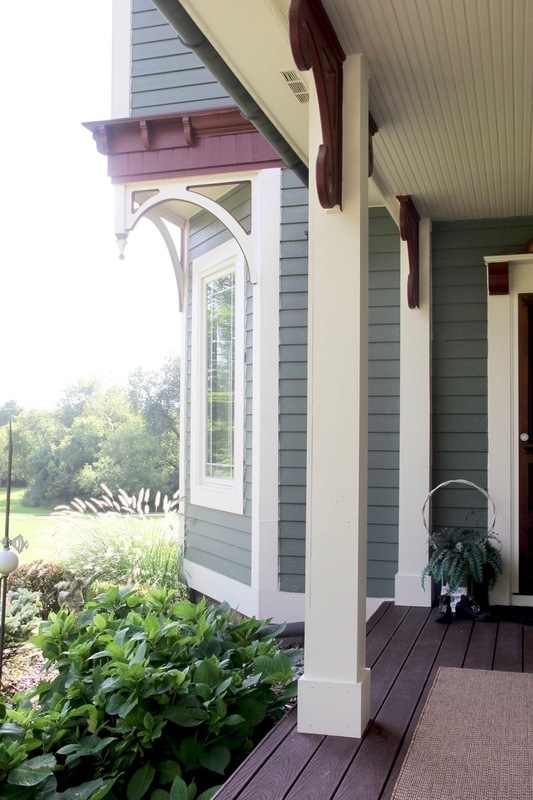 The purple hue looks stunning next to the green siding and really allows that wooden antique door leading into the home to pop. As I walked around to the side door, I immediately noticed their gingerbread trim and unique zig zag-scalloped siding. 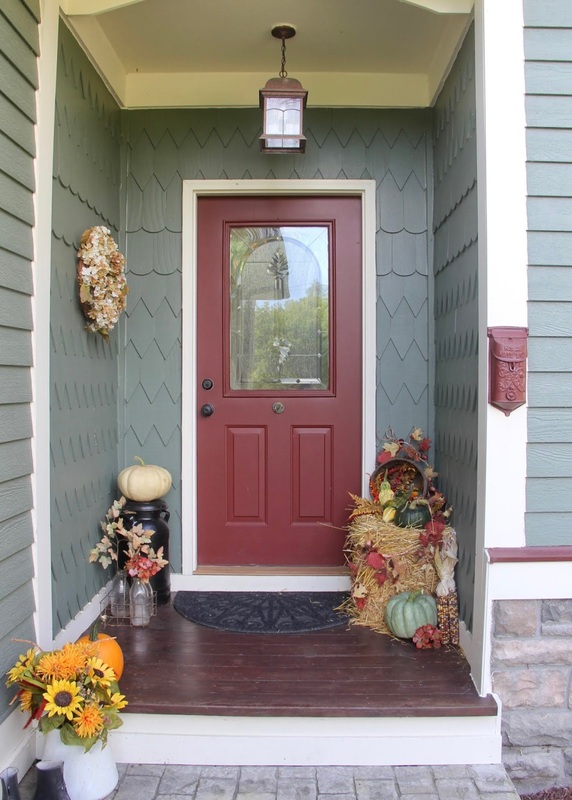 Along with the wonderful color palette, these details give the home so much personality, charm and character. 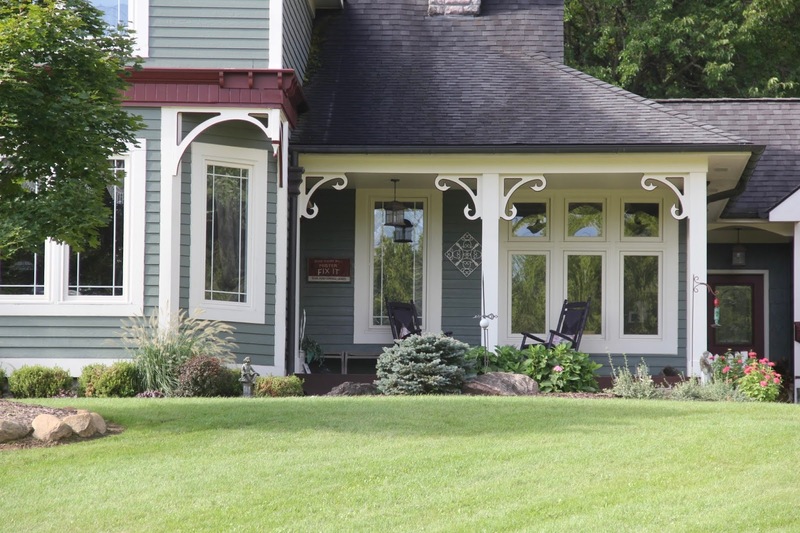 Because of their love of antiques, they designed the house in the "Victorian Farmhouse" style. It was important to Jim to evidence this through his attention to detail on the exterior. Pat enjoys decorating for the seasons with vintage finds. 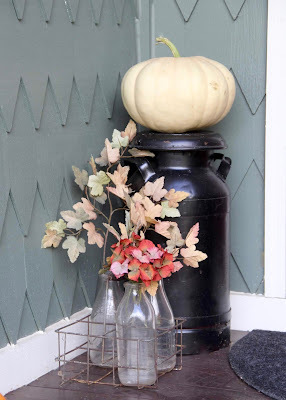 Her fall decor at the side door included the cutest pair of vintage booties, and old milk can. Foyer you can feel the love in this home. 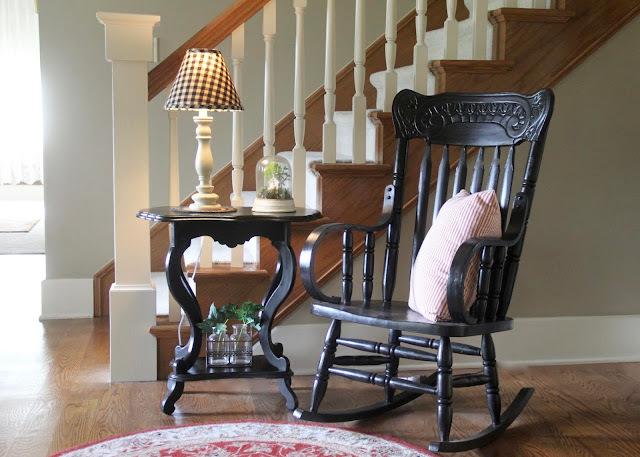 This romantic antique rocker, side table, round hooked rug and glowing table lamp let you know this is a special place. 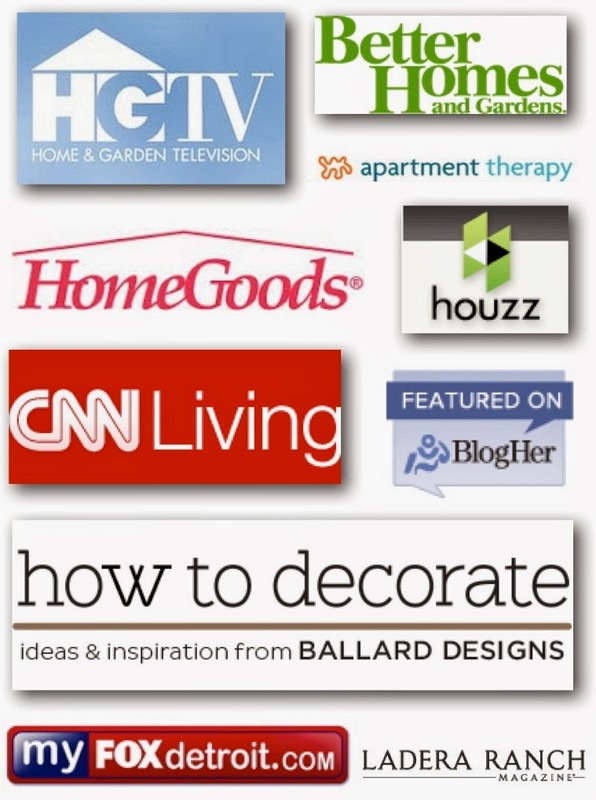 This is one of the areas I worked on with Pat through my EDesign Service. The family photo gallery leading up the stairs is evidence that this house belongs to a large, close knit, family and their roots are important to them. 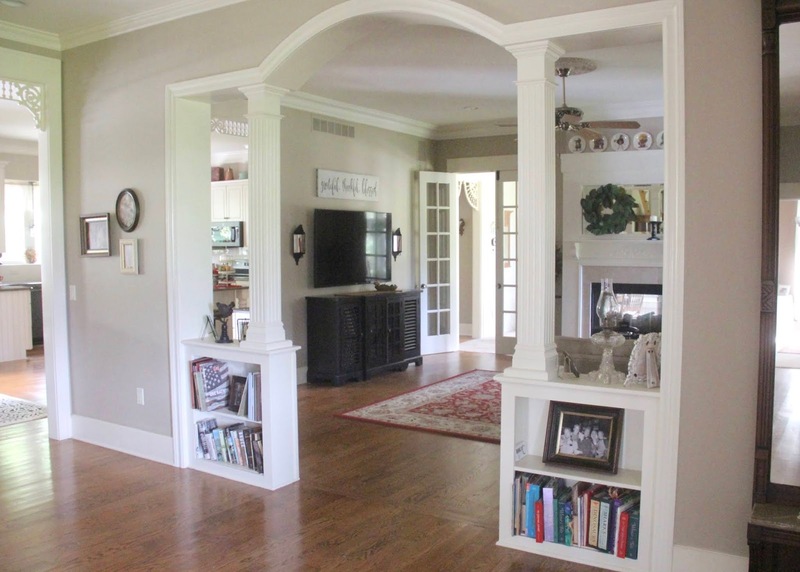 As a matter of fact, when they designed their home, the large pillars and bookcases in between the Foyer and the Family Room were modeled after Jim's Grandparent's home. 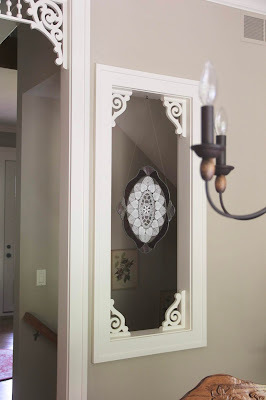 The tall ceilings in this area came in handy when it came time to find a spot for his Grandmothers 9' Mirror/Hall Tree from her home in Southwest Detroit. The Family Room was another one of the spaces I designed with Pat through my EDesign Service. 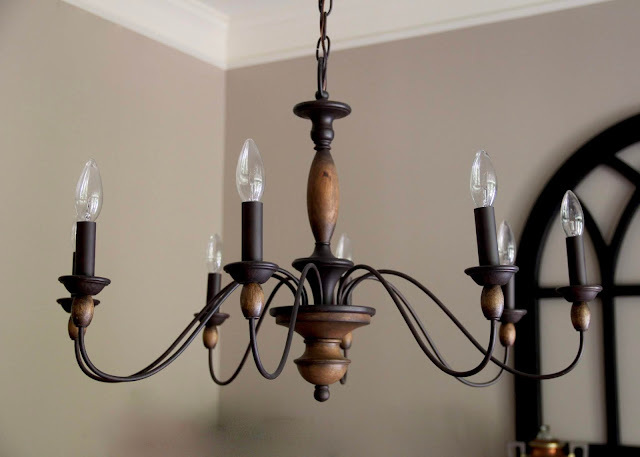 Our goal in this room was to give it a fresh, current, look while maintaining a traditional style that highlights their collectables and stays true to the style of the home. 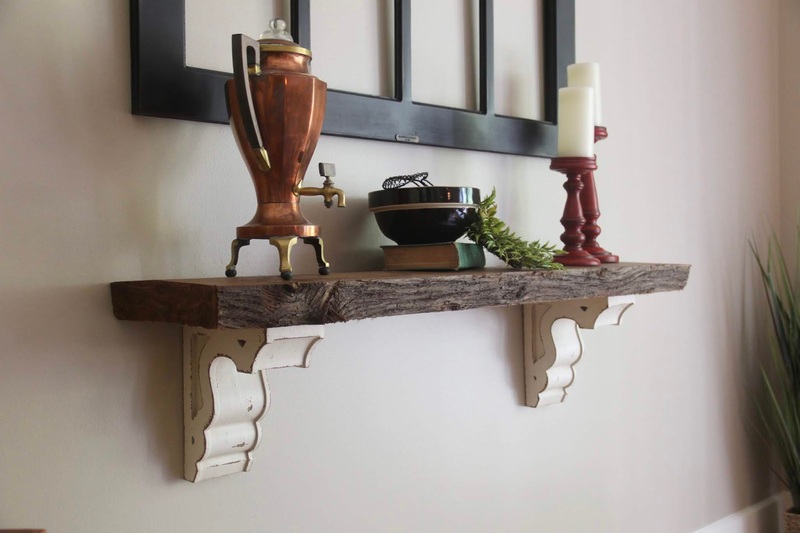 One of my favorite features inside this home are the antique structural elements you can find throughout. Like this stunning antique window (above the chair in the image above). It is not easy to incorporate vintage elements like this in a new build, but they pulled it off in an impeccable manner. This window brings additional light into the space and provides a lovely focal point next to the fireplace. It adds so much charm to the design. The furniture we selected offers cozy seating for the family and hugs the corner of the room. 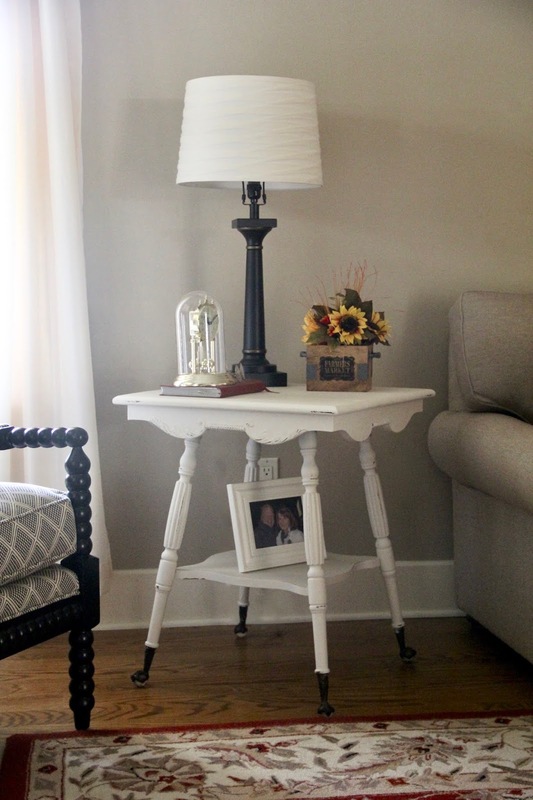 Instead of replacing Pat's occasional tables with new pieces, her set of vintage tables were painted in a crisp white finish and slightly distressed for character. 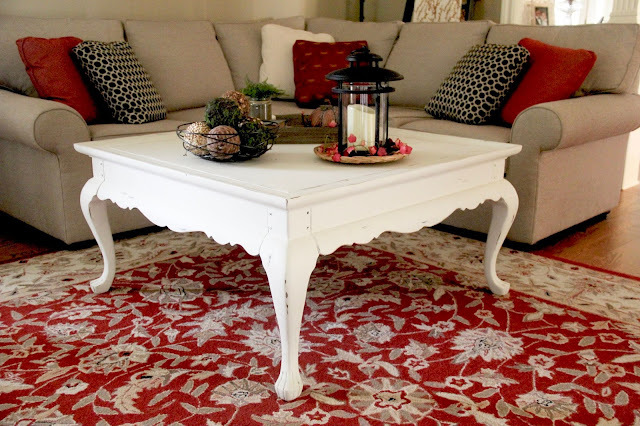 Having the tables painted in a light color helped to make the room feel light and bright. And the white table pops against the new red, hooked, area rug. 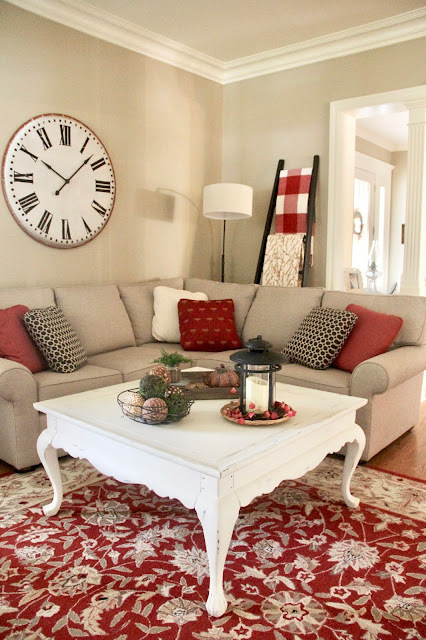 A large clock fills the wall space over the sofa and a leaning ladder (painted black) offers a place to place cozy throw blankets for cool, Michigan evenings. 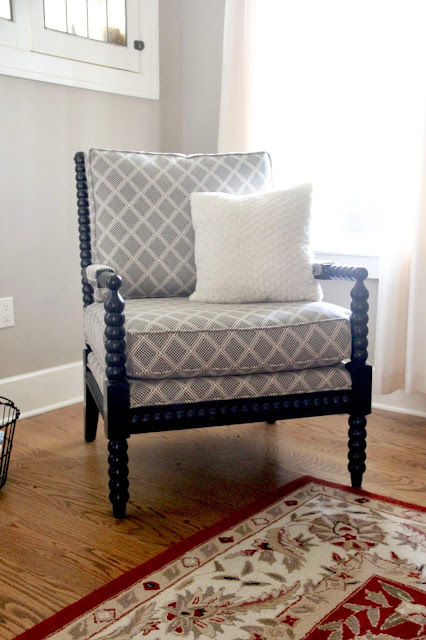 When it came time to select a side chair, we went with a vintage inspired spindle style chair. The fun, geometric, fabric used on the chair brings interest and personality to the design. The new TV stand was found at a local furniture store and offers a ton of storage for their media equipment. 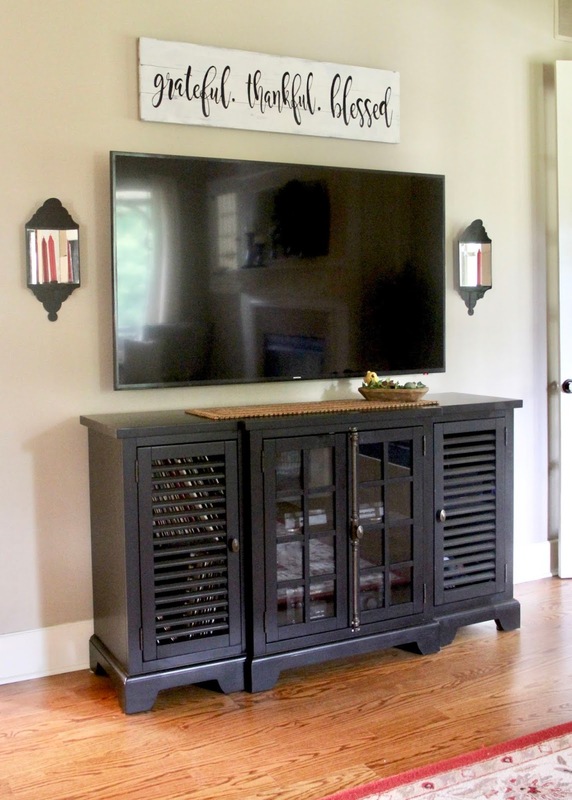 The sign above fills the vertical wall space and anchors the TV area. The sconces on either side of the TV were found in the trash in Grosse Pointe, Michigan by a family member. Pat isn't sure on their history, but she loved the way they looked. 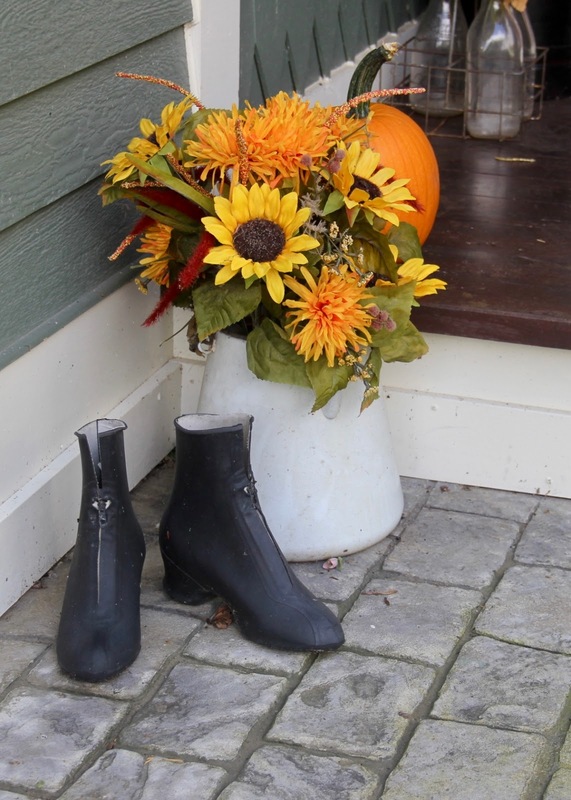 She gave them a new life with black spray paint and colorful candles. The trim and detail that you saw outside the home is also carried inside as you can see in the opening to the Kitchen. Speaking of the Kitchen, when I walked in to this space it immediately reminded me of a movie set. I could almost picture Diane Keaton standing at that L shaped island! 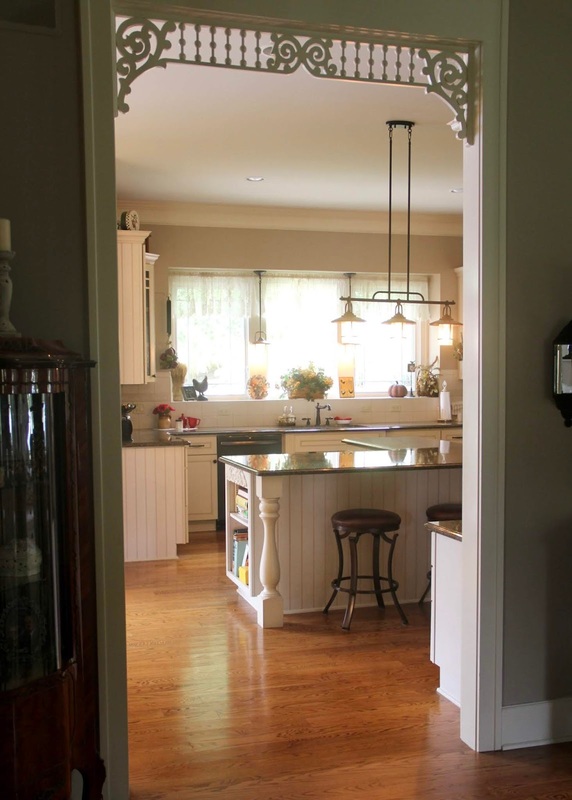 This Eat-in Kitchen is very large, spacious and open, but it feels warm, inviting and cozy. It's a frequent gathering spot for Pat and Jim's grandchildren. 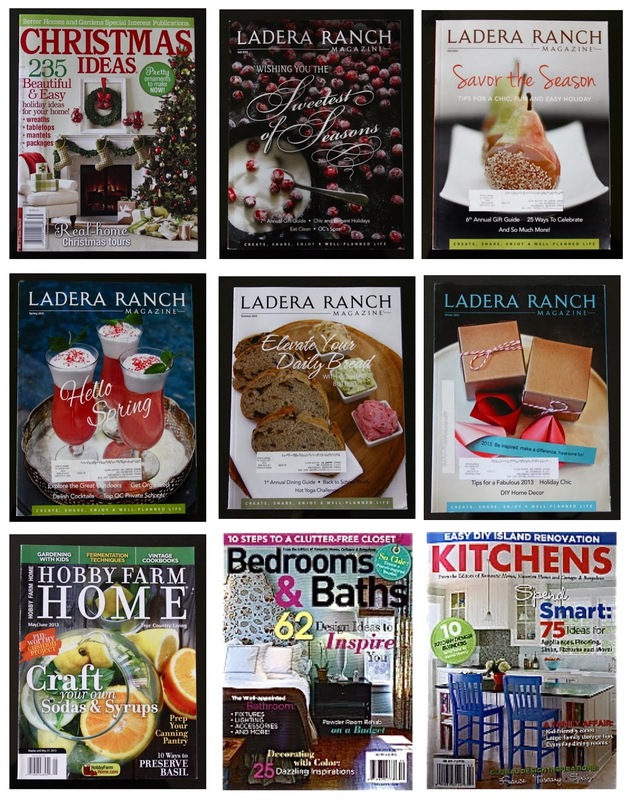 I was not involved in the design of the Kitchen, but I love the selections they made. The dark countertops look fabulous with the white cabinetry and traditional subway tile. 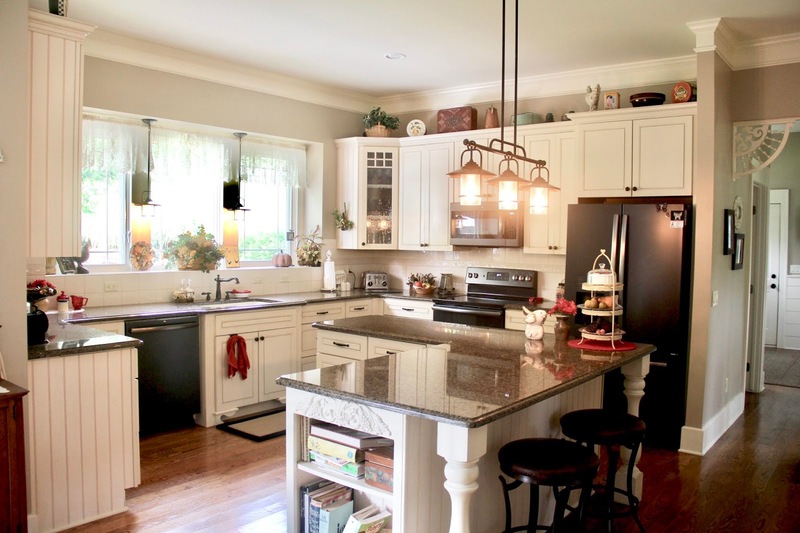 The lighting over the island and the pendants over the sink in front of the window have a lot of character. 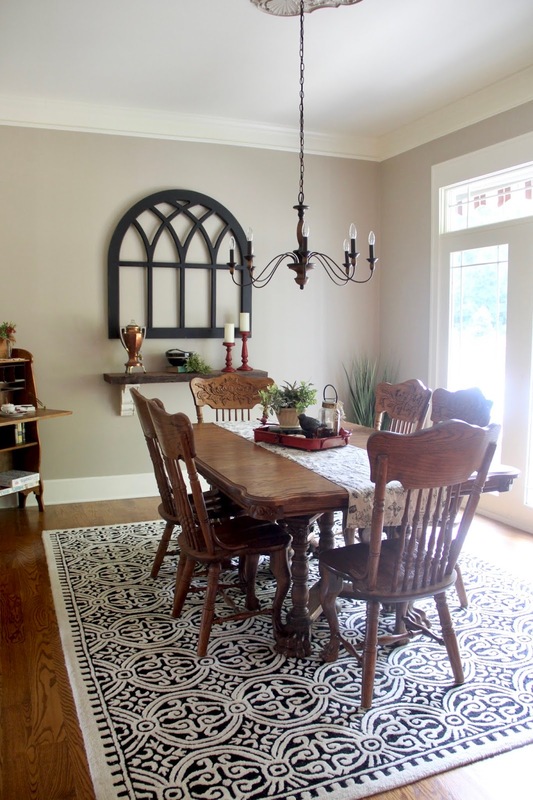 Pat wanted to update the look of this room, while keeping her existing dining set and vintage sideboard and secretary. 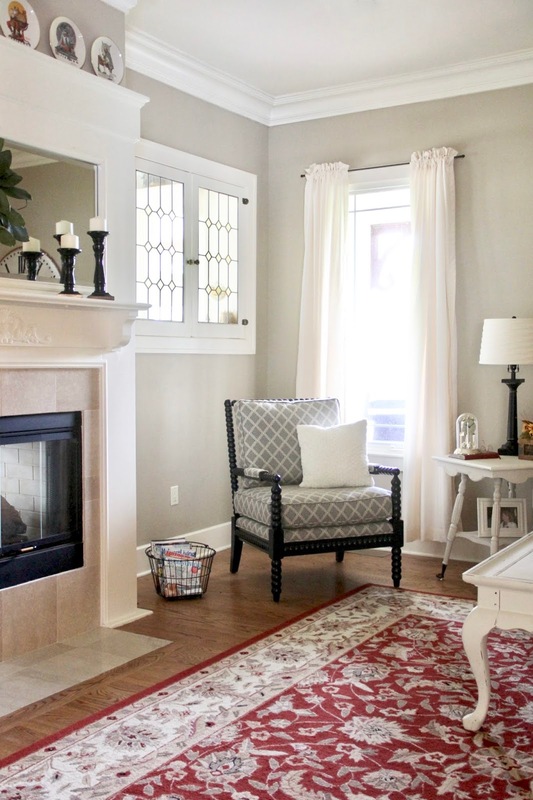 We used a graphic patterned rug to give the space a young, fresh look. The wool rug has a traditional feel, yet it updates the look of the antique dining table and chairs. A classic black and white color palette is eye-catching and complements the warm wood tones in the vintage furnishings. 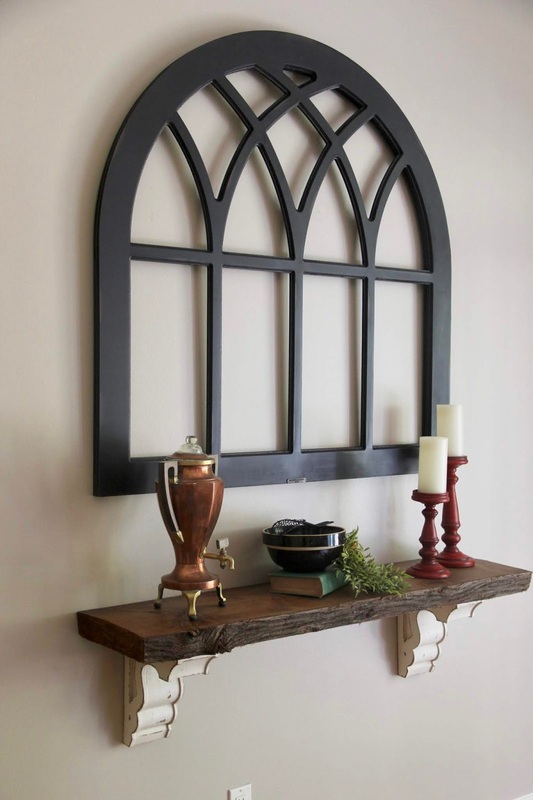 An arch frame by Magnolia mounted over the shelf brought another touch of black to the design. 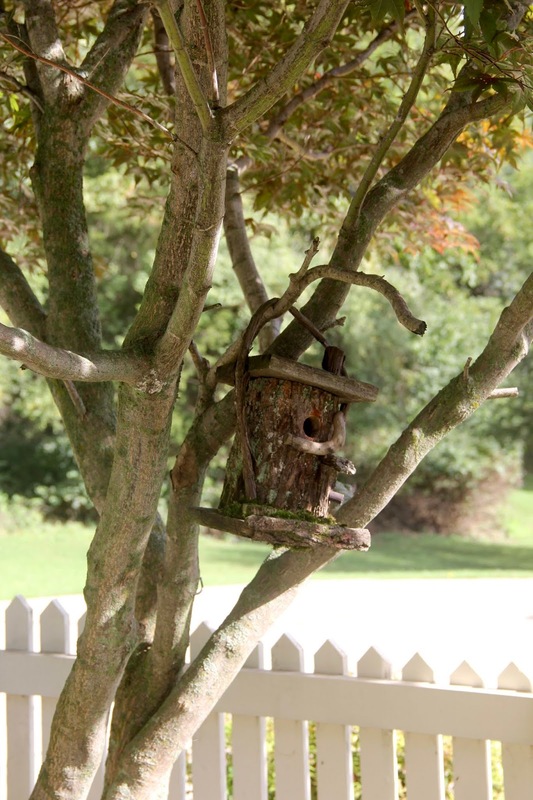 Almost everything in this home has a story behind it. For instance, this shelf was made from a large tree slab found in their neighbors barn. 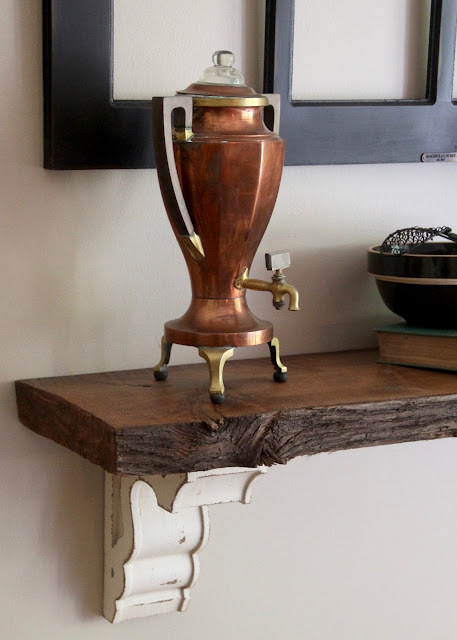 The copper and brass coffee pot on top of the shelf was a wedding gift to Pat's Grandparents in 1920. The mixing bowl next to the coffee pot belonged to the same Grandmother. 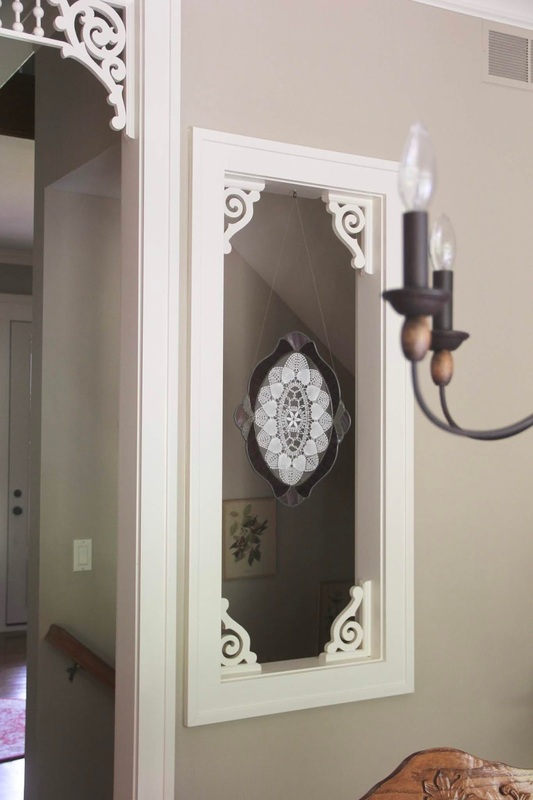 Repeating the charm found throughout the rest of the home, a window was placed in the wall between the Foyer and the Dining Area. 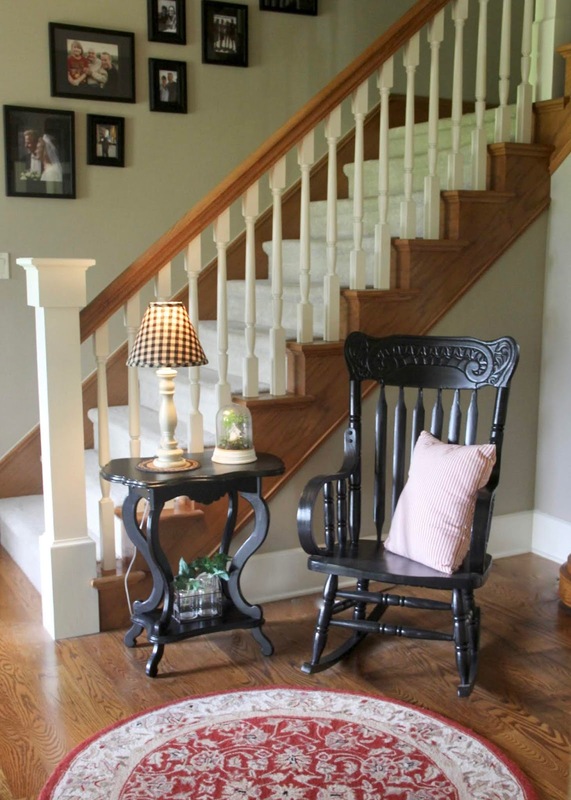 This was a great way to create the feel of an open concept while still maintaining a traditional floor plan design that is more in line with a Victorian Farmhouse. 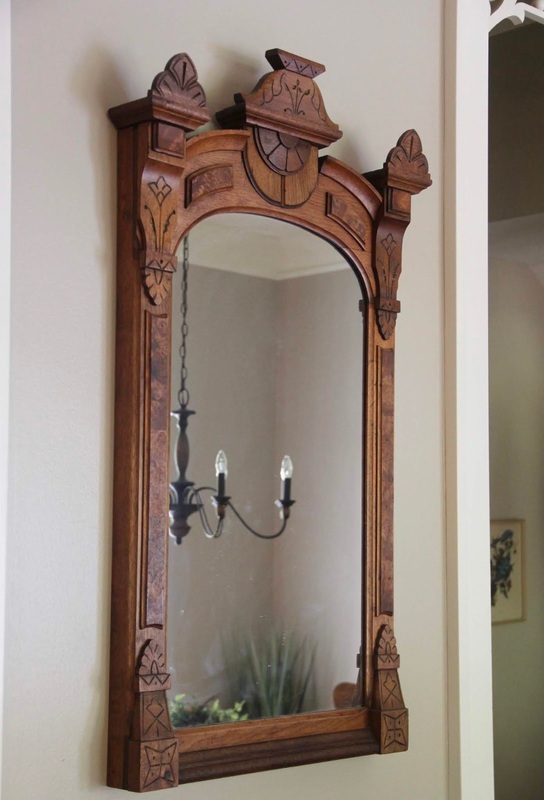 An antique Eastlake style, oak, mirror on the Dining Room wall belonged to Jim's Grandmother. Placed on the wall across from the window it balances the entrance into the room perfectly. 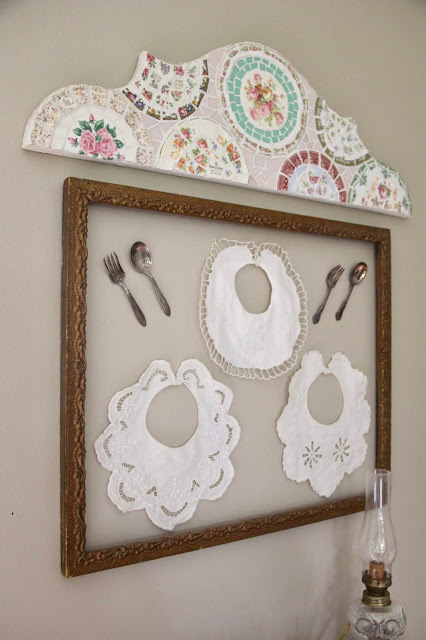 Above the sideboard in between the Kitchen and Dining Area, she created a very sweet vignette using antique bibs and the spoons she used to feed her babies when they were little. 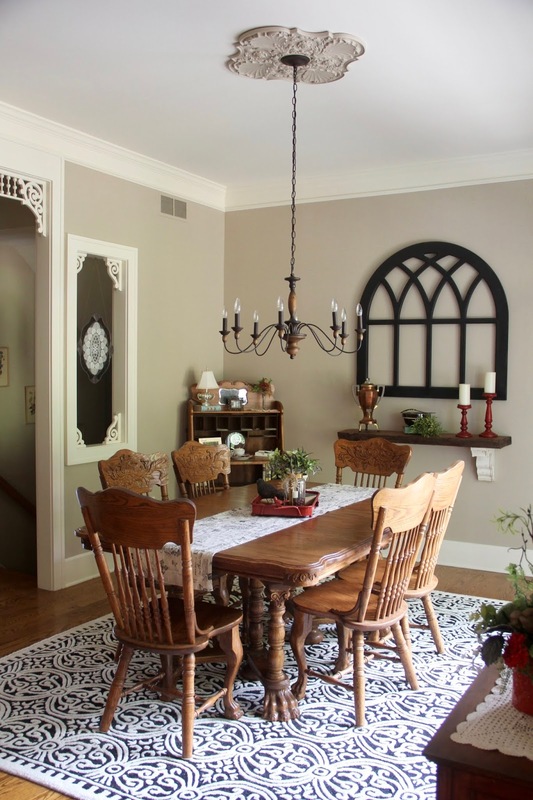 A mosaic broken china art piece in an arched shape softens the look and adds a dose of whimsy. 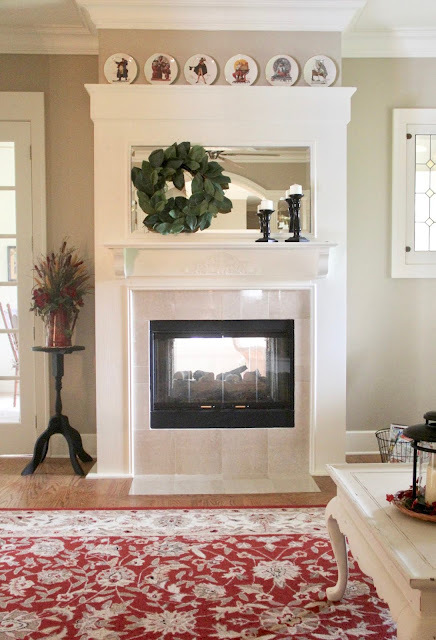 Touches like these are what gives this home a warm and cozy feel. The actual house itself is very large and grand, yet it feels inviting and intimate. Thanks to all of the personal touches and the attention to detail they have put in to it, this home has all the feels. It was a lot of fun to design for them. Stop by later this week for a look at some of the before photos and more details regarding the spaces I designed in this house. Thank you for coming on tour with me today. I'm grateful to have the opportunity to share it with you. 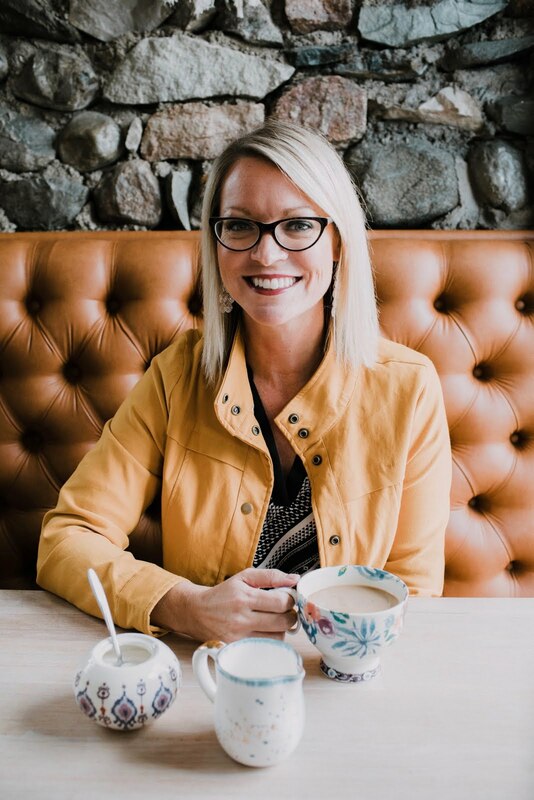 My hope in sharing this lovely and unique home is that you may find inspiration to create a warm, inviting, space with personal touches that feels like home to you! Back to the design studio. Enjoy the rest of your day!